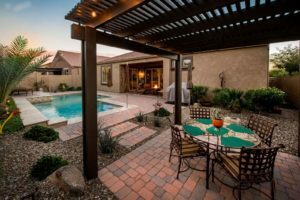 Southshore Village Home Just Listed in Chandler full of updates. 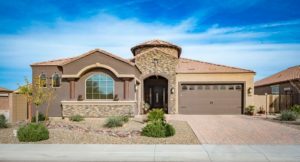 Amazing home located at 226 E. Lynx PL in Chandler AZ! Welcome home to this 3 bedroom, 3 bath, and TWO bonus rooms! You will have a hard time finding another home as upgraded as this impeccable one located in Southshore Village in Chandler AZ! Inside you will find all new engineered wood flooring with carpeted bedrooms. A HUGE kitchen island with granite, stainless appliances, and a large walk-in pantry will have you ready for all of your formal or casual dining events. Just off the kitchen is the spacious family room that is the heart of the home. Whether your gathering for a movie, watching the big game or creating memories, this space is for you. The spa-like master suite is a wonderful place to relax at the end of the day. And with 2 guest bedrooms and their private bathroom, everyone can have their downtime. If parking is important to you, not only will you find a full three-car garage outside but you can also temporarily park your RV with 50 amp service. Your oasis in the backyard of this Southshore Village home! When you step outback, it’s like walking into your own private paradise. The luxurious pool is both heated and cooled and has a beautiful waterfall feature. You will love the landscaping and lighting to make the multiple seating areas a perfect get-a-way. Host your family/friends in this gorgeous backyard! 226 E. Lynx Place in Chandler is located in a highly desirable neighborhood close to schools, shopping, restaurants and easy access to major freeways. Don’t wait on this one, it won’t last! For more information contact us here or call 480-440-0849.